Successful foundation-grantee relationships hinge on the prowess of individual program officers, whose abilities may vary widely within a single foundation. 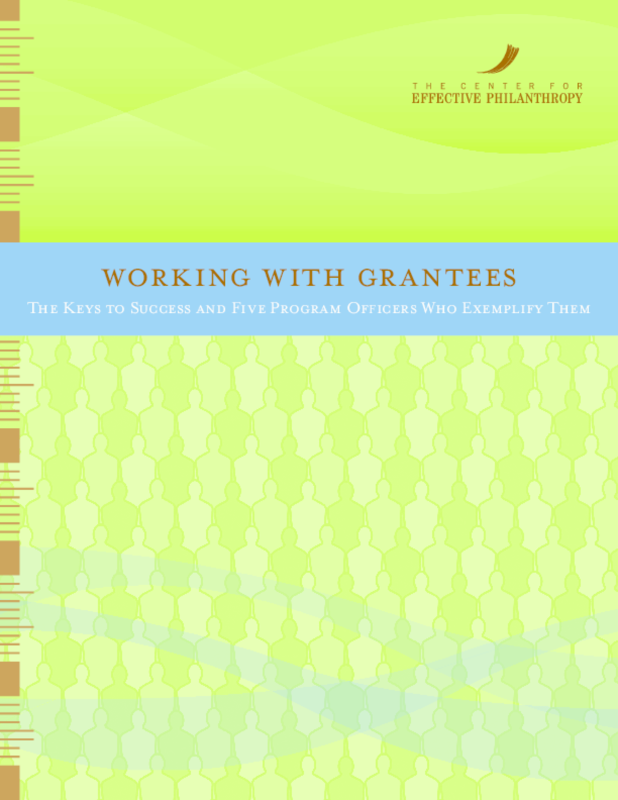 This research explores what grantees value in their relationships with program officers and identifies four keys to success. Five high-performing program officers share their stories. Copyright 2010. The Center for Effective Philanthropy, Inc. All rights reserved. This work may not be copied, reproduced, or published without the express written permission of the Center for Effective Philanthropy.